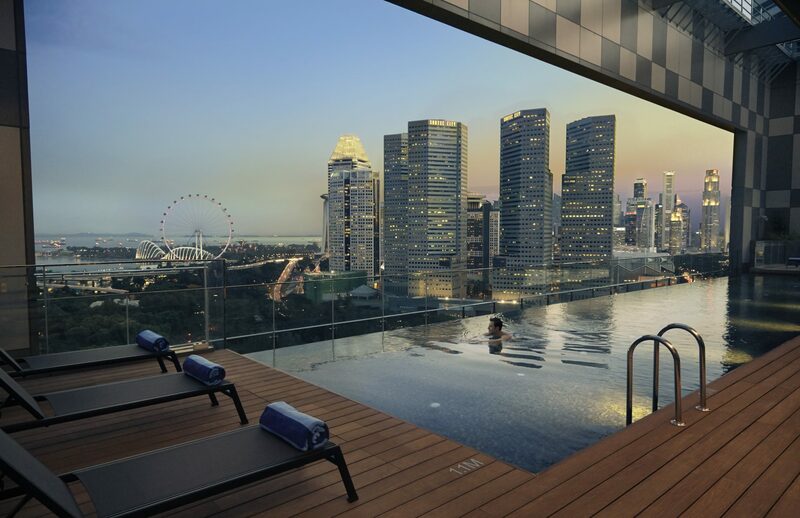 The rise of luxury serviced apartments has been more apparent in Singapore lately. A blend between staying at a five-star hotel and your own home, serviced apartments are fully-furnished accommodation options available for both short-term and long-term stays — providing guests with hotel-like services and amenities such as daily breakfast, housekeeping services, business lounges, state-of-the-art fitness centres, and expansive swimming pools. Serviced apartments in the CBD are aplenty, but sometimes business travellers would rather escape the early morning crowds and traffic congestion. Enter, Pan Pacific Serviced Suites Beach Road, which provides the ultimate home away from home experience in the heart of Singapore. Opened in 2013, way ahead of its competitors, the property marks the third Pan Pacific Serviced Suites in the group’s portfolio, following Pan Pacific Serviced Suites Orchard, Singapore and Pan Pacific Serviced Suites Ningbo. Boasting the perfect location on the fringe of Singapore’s CBD, the property is within walking distance from the hustle and bustle of the independent boutiques, unique bookstores, and quaint cafes at the vibrant Beach Road and Arab Street enclave — making it a great option for short-term stays. Facilities include a 24-hour fitness centre appointed with state-of-the-art equipment and rooftop swimming pool overlooking the cityscape, daily breakfast at the Pacific Lounge, a meeting room which provide a conducive environment for business travellers, and complimentary shuttle bus service which provides guests with easy access to important landmarks such as Suntec City, Shenton Way, and Orchard Road. We follow entrepreneur Melissa Koh’s journey as she unwinds in the comforts of home at Pan Pacific Serviced Suites Beach Road. Whether she’s taking a relaxing dip in the rooftop swimming pool which boasts panoramic views of Singapore’s skyline or indulging in a sumptuous breakfast spread at the Pacific Lounge, Pan Pacific Serviced Suites Beach Road is indeed the perfect location for both brief and extended stays.